"I don't think I've ever posted the jumper parrot before. 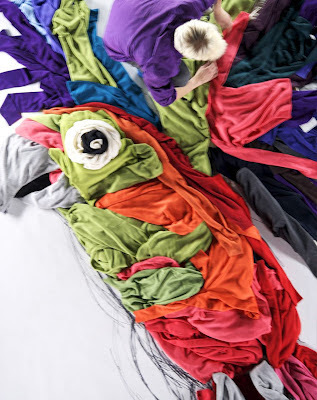 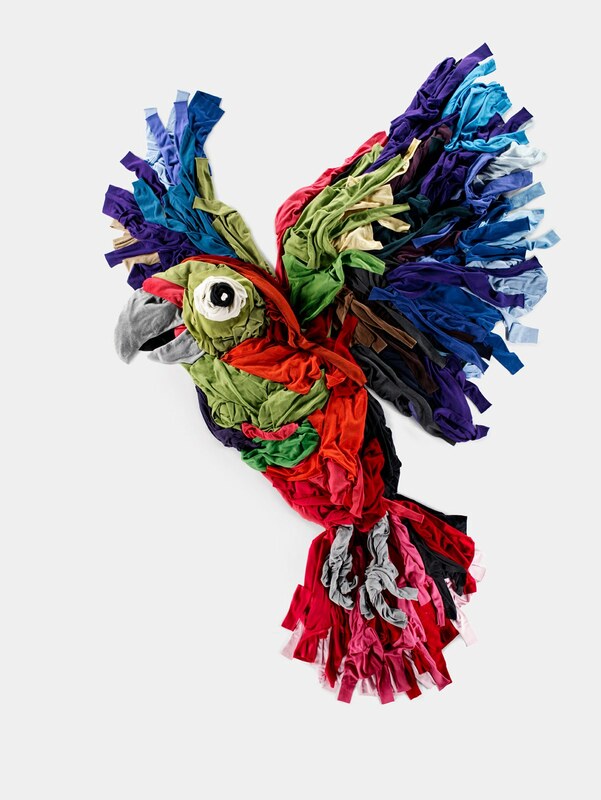 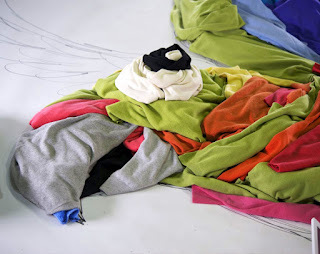 This was so much fun to make, it took about 5 hours to put together and made up of about 100 Uniqlo cashmere jumpers, there were no sketches or any grand plan of how to put it together, we just winged it (no pun intended)." 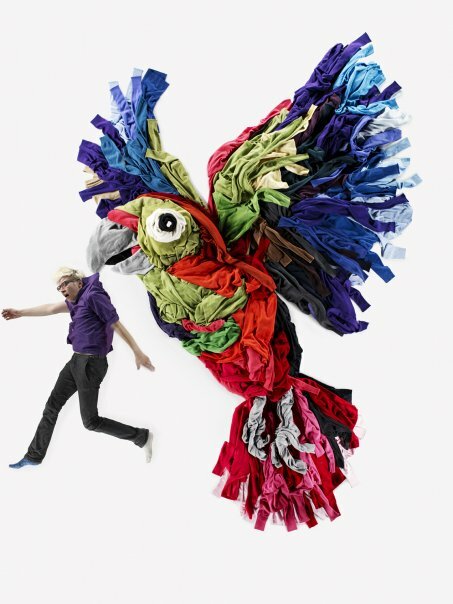 UNIQLO from Lacey on Vimeo.